The Way Of The Raven is such a story. It is a fictionalized account of true stories about a North Alabama farm boy that dreams of righting many wrongs. In this first book, Discovery, he discovers he is destined to have his dreams realized. He is to become the stuff of today’s legend and myth. He is The Raven. Legends of The Raven have appeared in the history of mankind since the beginning of time. To the ancient Greeks, The Raven was associated with prophecy and was a symbol of good luck and were used by the gods to deliver messages to mortal man. 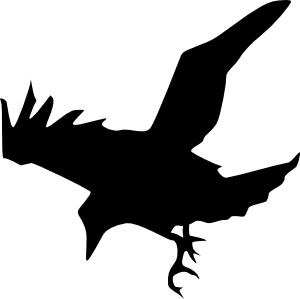 Both the Christian Bible and Icelandic legend have stories that depict The Raven as being used to find safe passage for ships. According to legend, the Kingdom of England will fall if the ravens of the Tower of London are removed. Ravens have resided in the tower for centuries. In the Book of Kings 17:4-6, God commands the ravens to feed the prophet Elijah and according to other legends, The Raven protected Saints and served as the eyes and ears of warriors and Kings. To American Indians, appearance of The Raven signifies that danger has passed and good luck is to come. The Raven is said to have escaped from the darkness and brings light to the world and delivers messages between the heavens and mankind and has the ability to shape-shift as needed in order to adapt to different situations. The authors, both of American Indian heritage, lean heavily on American Indian legends of The Raven and Christian teachings in the writing of the books. The main character, Raven Cane, is destined to make difficult choices so he may insure the survival of humanity and Christianity after the downfall of civilization purposely initiated by corrupt organizations and governments. Follow The Raven as he embraces his American Indian heritage as a young boy and eventually becomes America’s most ingenious and effective spy. Always one step ahead of the government’s playbook, he is determined to outsmart and outmaneuver worldwide corruption and deliver mankind from the Reset. 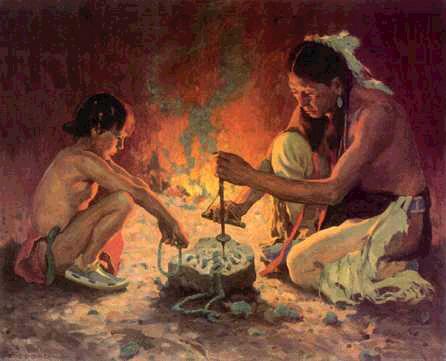 Melvin’s Campfire: Chapter excerpt from “The Raven” novel by Tracy O. Crane and Terry W. Platt.